Rainbow Dash always knows what she wants—faster, cooler and higher! But is this what you should look for in a pet? After running into her Ponyville friends at their weekly pet play date, Rainbow Dash wants in and decides to find a perfect pet… her way! 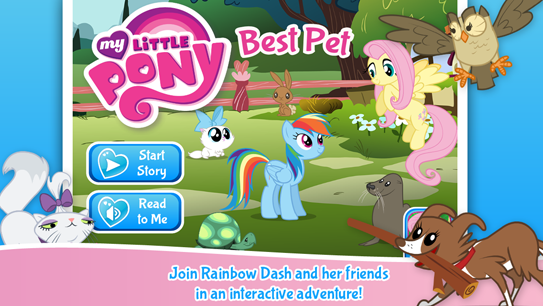 In this adventure, Rainbow Dash holds a ‘Best Pet’ contest to find the perfect pet for her! Based on the episode May the Best Pet Win from the hit animated series, FRIENDSHIP IS MAGIC, “My Little Pony: Best Pet” is the newest interactive storybook app from PlayDate Digital — an action filled fable that highlights what to look for in a pet! 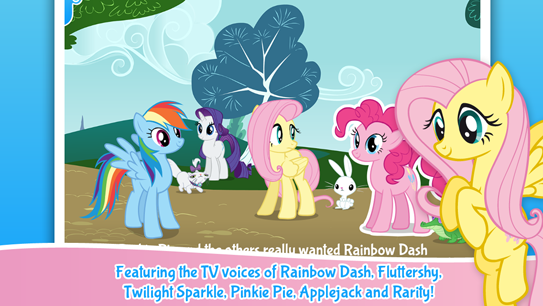 It’s perfect for all My Little Pony fans and will speak to all who have ever wanted a pet. 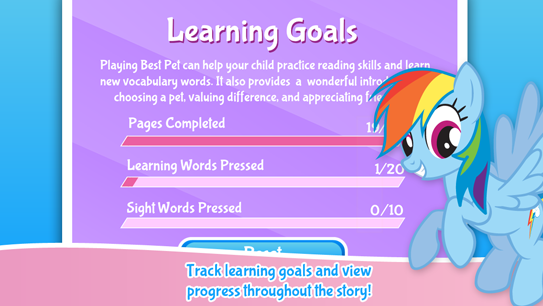 MY LITTLE PONY: Best Pet is a wonderful introduction about choosing a pet, valuing difference, and appreciating friendship. 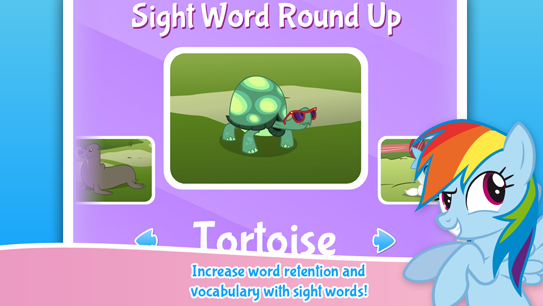 This new interactive storybook app is designed to help emergent readers practice their skills while following the adventures of their favorite characters. •Interactive MY LITTLE PONY action and voices on every page!